Seldom a day goes by in Pakistan that the country’s top anti-graft watchdog, the National Accountability Bureau (NAB) is not in the news. For Prime Minister Imran Khan who won his first election last summer to take the country’s top political job, battling corruption has been central to the core principle of his Pakistan Tehreek-e-Insaf (PTI) or Pakistan Justice Party. And yet, mired in the midst of a very visible economic slowdown, along with the prospect of a coming harsh adjustment under a new International Monetary Fund (IMF) programme, Pakistan indeed stands at formidable crossroads. The matter of battling corruption, though commendable in theory, now carries the possibility of dangerously slowing down an already sluggish economy. Across the corridors of power in Islamabad, it’s no secret that the NAB is seeking to investigate an array of dealings and contracts spanning over the last couple of years if not decades. The push has been driven by a yearning for cleaning up the proverbial slate to begin a new journey under Imran’s new Pakistan. Though a noble objective in its own right, the push creates dangerous trends for the future in a country where corruption used to be a way of life. More importantly, graft became so deeply entrenched that it became central to carrying out business for a variety of entrepreneurs. The ongoing push by the NAB comes at a sensitive moment when the Imran government is angling to privatise at least major power utilities to prospective investors from the Middle East or possibly even China. Exactly how confidence will be inspired for major investors to invest either in the upcoming projects or more remains a totally baffling question. At the same time though, and nothing short of miraculously too, Pakistan, during its economic history has seen some of the best examples of world-class entrepreneurship in a variety of sectors ranging from banking and finance to industries like textiles. Additionally, the expansion of the services sector has brought out some shining examples of state-of-the-art performance in an all-too-often tough neighbourhood. 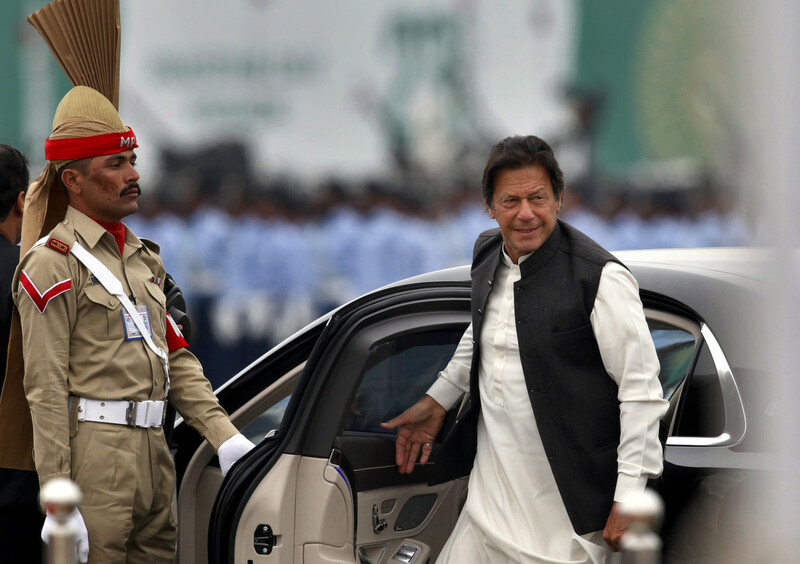 Faced with a challenging task since forming a new government last year, it is possible that trends under Imran’s administration since were driven by a knee-jerk reaction. But now comes the essential moment to undertake a badly needed reality check. The government must immediately return to the drawing board to chalk out a new strategy which reconciles the reality of keeping Pakistan’s economy alive enough to recover from the coming downturn versus cleaning up the country. Accounts from a range of stakeholders suggest that the battle against corruption as undertaken by the NAB risks not only slowing down the economy dangerously but also curbing already sluggish new investments. In brief, reopening past contracts under a NAB investigation carry the risk of deterring future investments. There is an additional risk of delving in areas that may only open a proverbial Pandora’s box. Since the 1990 decision by the Pakistani government to liberalise the foreign exchange regime, Pakistani citizens have been allowed to open onshore foreign currency accounts under a ‘no questions asked’ policy. Though that was indeed controversial, Pakistan’s need for foreign exchange over a long period of time was nevertheless supported. In recent years, that policy has been tightened to the point where only legitimate income tax-payers are now eligible to open foreign currency accounts. Yet, the past was part of a policy mechanism delivered by a Pakistani regime, which cannot be undone. Ultimately, the state must accept responsibility for all policy mechanisms delivered by one government after another. Going forward, Imran and his team must now only focus on the future. A new policy framework must be driven squarely by the need to create a world-class business environment where the oft-repeated promise of creating an ‘ease of business’ mechanism must be delivered in reality. One of the biggest deterrents to Pakistan’s economic future remains the matter of continued red-tape that often hurts a variety of areas related to the economy. Successive Pakistani governments have promised to deliver a ‘one-window operation’ for businesses but that never translated into reality. In today’s Pakistan, delivering on that promise in its entirety must be one of the biggest services to the country’s economic future. Meanwhile, as Pakistan embarks on a new economic journey, it is also essential to consider building an across-the-board political consensus among the mainstream political parties. Facilitating businesses is one such area where mainstream politicians can find little room for disagreement. While the matter of combating corruption, especially involving key politicians, evokes sharp disagreements, a new framework to facilitate new investments can hardly be a divisive affair. Bringing diverse political stakeholders to the matter of building consensus on the way forward will indeed be essential in reviving the economy. Pakistan’s investors in the past have suffered too often at the hands of policies devised by one government that facilitated their commitments, before being completely undone by a future government. This indeed turned the matter of business policies into a complete joke. Faced with monumental challenges with no precedent in Pakistan’s history, the economy and its handling must remain free of controversy. Going forward, a new Pakistan will have to be built on the foundation of a durable and thriving new economic order. Without such a durable platform, staging a sustainable economic recovery will remain nothing short of yet another pipe dream. Farhan Bokhari is a Pakistan-based commentator who writes on political and economic matters.